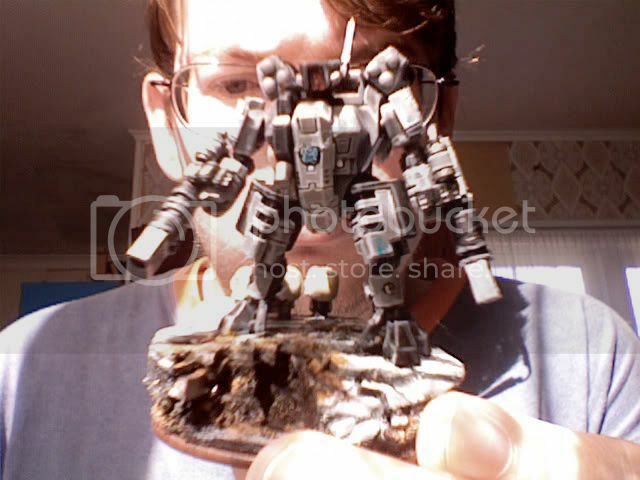 I think I&#39;ve said this before a few times, but if all Crisis Suits looked that good, I&#39;d play Tau. Seriously, it looks awesome. Great job. I&#39;d like to see better pics of it. Man, I really like that. That is quite an excellent piece. I also especially like the awesome conversion. I&#39;m afraid those pics are the best I can do as I&#39;m using the webcam on my MacBook. 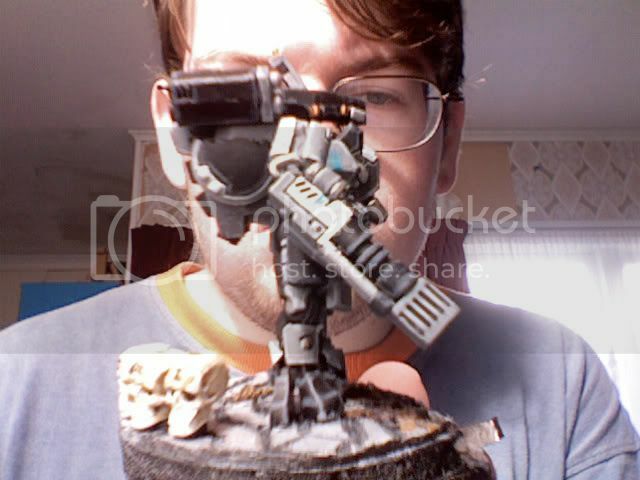 The inspiration for the conversion is obviously Tael&#39;s XV 8 urban/stealth suit. 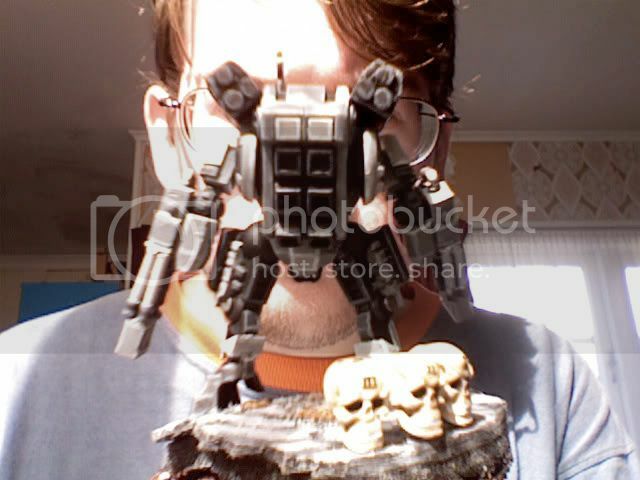 My idea was do it using only Tau bits, which I managed. The pose was rather hard, I was trying to look for something that looked menacing, confident and cool without being a massive action pose. I eventually decided to have him standing on the edge of a blasted street section, just surveying the battlefield. The pose has just the right air, imo, of menace and calm self-assurance that it needs to show that this guy is a commander, not just some grunt with fancy wargear. The lowered weapons also show this in a way, as they show he&#39;s prepared for battle, but confident in his surroundings.